Well since our family vacation for this year is over I have already started to plan our trip for next year. I am sure you can guess where it will be too... This trip not only will be a vacation but also Jake and I's time to scope out some areas of possibly moving to. 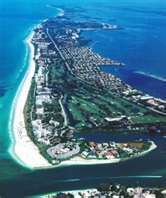 I grew up in Bradenton, Fl and loved it my mom owns a home in Hudson, Fl though she is currently in Ohio with me. 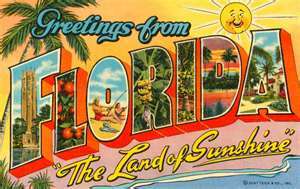 I never dreamed that it would be 20 years before I would be able to step foot in Florida again and I must say it has been a long 20 years. With planning our trip one thing I will be looking into are flights to tampa. Though we will be staying south of Tampa it is easier to fly into there and drive down the rest of the way. It also gives me an excuse to visit my cousin in Tampa and take the kids to visit some really cool places also. Can you feel my excitement?? I am about ready to just jump in my car and head for the airport I am so ready to be on this trip. Doesn't that picture look awesome?? Oh how I love Florida and all the fun and sun that goes along with it. This next year will be longest I am sure just because I am so excited about this trip and I hope that it will end up being a trip that can make my dreams come true. I love going to Florida on vacation. Nothing beats the gulf coast, in my opinion! I love Tampa! I am blessed to live 45 min away!